What happens when Joe & Kendall try to cover everything Crime Syndicate? You end up with a LONG episode. Fear not Bat-Fanatics, we’re sensible people. We split it in half! 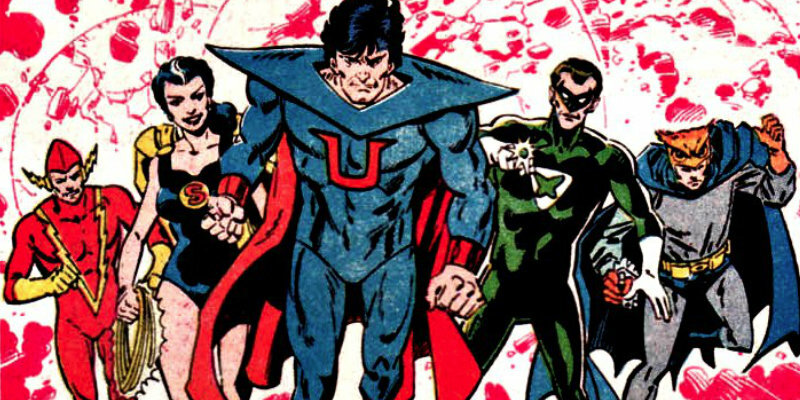 This week we cover the original Crime Syndicate of America and the anti-matter Crime Syndicate of Amerika. Watch the Crime Syndicate “Volthoom” themselves out of some nonsense, steal missiles from the Cuban Missile Crisis, get a dark and gritty reboot, and finally get phased out of existence… TWICE! Put on your goatees Bat-Fanatics, it’s time to get… Evil.